PFF is fine and all, but particularly when it comes to line play I would take their ratings with a grain of salt. Boone is a versatile player and would be a great 6th lineman, but he's not and never will be top tier. I disagree 110%. Boone was a pro bowl player. A 6th offensive lineman doesn't make the pro bowl. Granted the pro bowl is the pro bowl but regardless, he was good enough to get there plus he wasn't a "well known" player either. I'm not say he is top tier but he's definitely not a "6th lineman". Not sure where a claim like that even comes from. Not sure where a claim like that even comes from. The fact that he isn't terribly good at playing LG by NFL standards. fiestavike wrote: The fact that he isn't terribly good at playing LG by NFL standards. I have seen nothing to make me confident in the Vikes OL so far this off season. They better score big time in the draft to shore up the OL or we are doomed to another season of mindless mediocrity. 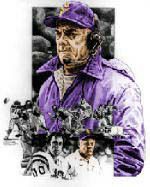 chicagopurple wrote: I have seen nothing to make me confident in the Vikes OL so far this off season.